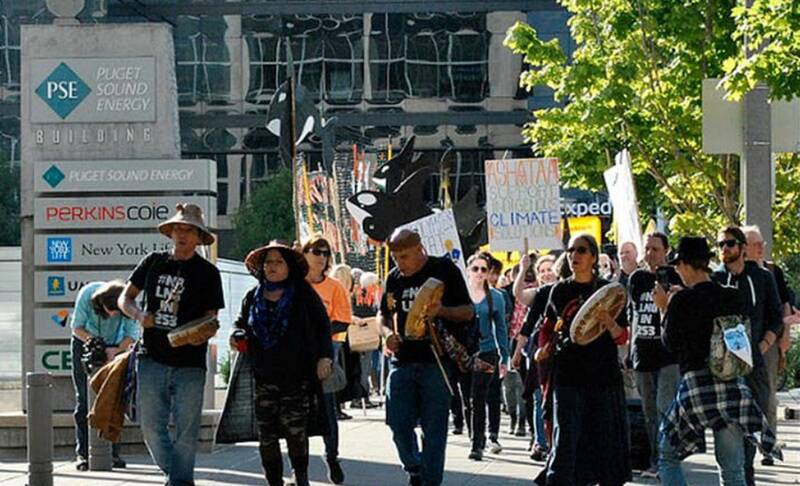 CENSE will join the Faith Action Climate Team, Protectors of the Salish Sea, and Sierra Club for an “interfaith ceremony” to be held at PSE headquarters in downtown Bellevue starting at 11:45 AM this Friday, June 1. Why: PSE must stop harming our environment, now! PSE’s 20-year energy plan calls for most of our electricity to be generated by burning fossil fuels. This plan makes it difficult for cities served by PSE to meet their emission goals and slow climate change. PSE invests in expensive projects that prolong addiction to fossil fuels, including the controversial Tacoma LNG plant and “Energize Eastside.” On Friday, faith groups, indigenous peoples, environmentalists, residents, and ratepayers will demand change. If we have a large turnout, the ceremony will be covered on TV newscasts, and PSE’s foreign investors will take note. Please join us on Friday, and wear orange clothing to help us show how broad this coalition is.